Whether you're in Gander as a stop over for the airport, a business retreat or a family vacation, you can experience warm Newfoundland hospitality in a quiet, country setting thanks to our family owned and operated business! Nestled in the heart of Central NL, an ideal location for you to feel at home while surrounded by the rustic beauty of Newfoundland wilderness. 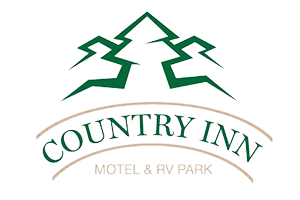 We're located close to multiple hiking trails, amazing fishing holes, trail way access, five minutes from Gander International Airport and a short drive to the ocean for breathtaking views of icebergs and whales! Explore during the day and unwind in the evening in one of our clean, comfortable rooms at the inn, in our cottage or in the comfort of your own RV in our campgrounds. In the motel, we offer a continental breakfast each morning. The RV Park offers two way and three way hook ups and has newly renovated comfort stations. 709‑256‑4005 or toll free 1‑877‑956‑4005. Take first exit onto Magee Road, travel 3.6 km and take a slight left turn into Cul-de-Sac. Take first exit onto Cooper Blvd., travel 4.8 km, take left onto Magee Road and immediate right turn into Cul-de-Sac. Take first exit onto Magee Road and immediate right turn into Cul-de-Sac.